​Kings Marine can supply you with everything from fishing supplies and crab traps, to placemats and marine electronics. 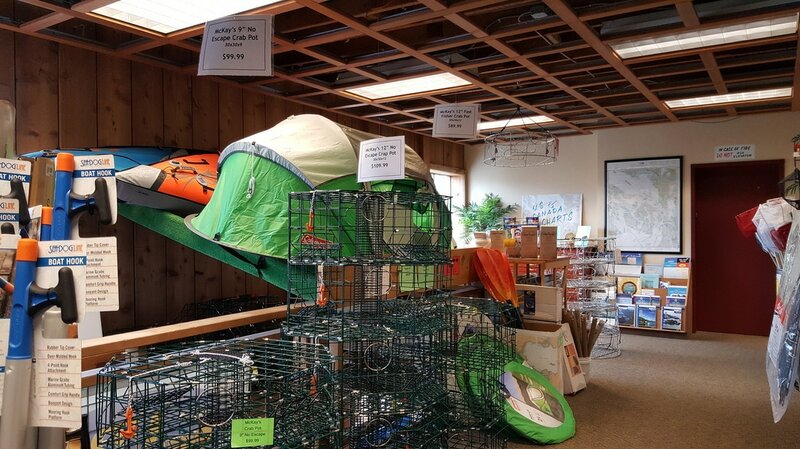 Located upstairs above Kings Market, Kings Marine stocks a complete selection of charts and guides to fishing and boating in the San Juans. Our staff is prepared to answer any questions and ready to assist you with any boating needs. If you have questions about marine products, please call 360-378-4593. Open 7 days a week, 9am to 5:30pm.